Nashville Airport to Kawasaki City, Kanagawa Pref. An early morning started off with last-minute checks, followed by a flow of constant prayer. 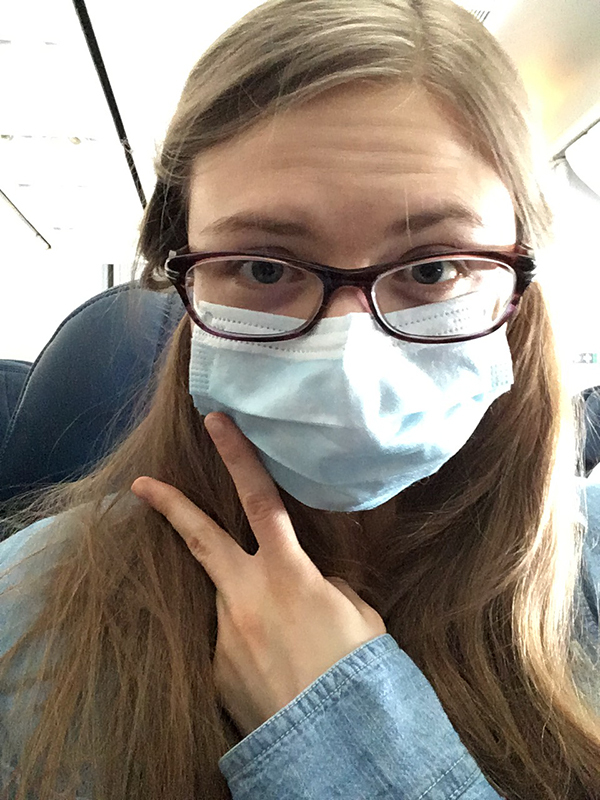 Essential oils and the cold of a Tennessee April dawn helped to quell the nausea rising in my stomach from the anxiety of leaving home for my first ever solo trip overseas. Prayers and perfectly-timed songs streaming from the radio bathed my parents and I in calm. 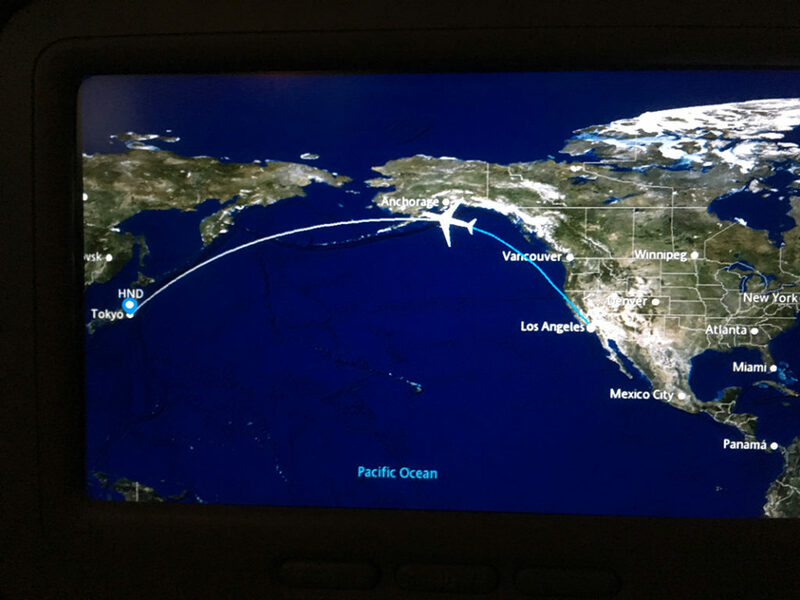 By a miracle of God, we departed at the security checkpoint with dry eyes. Not to worry – the tears would come later. I took this photo at the boarding gate while waiting for my flight. 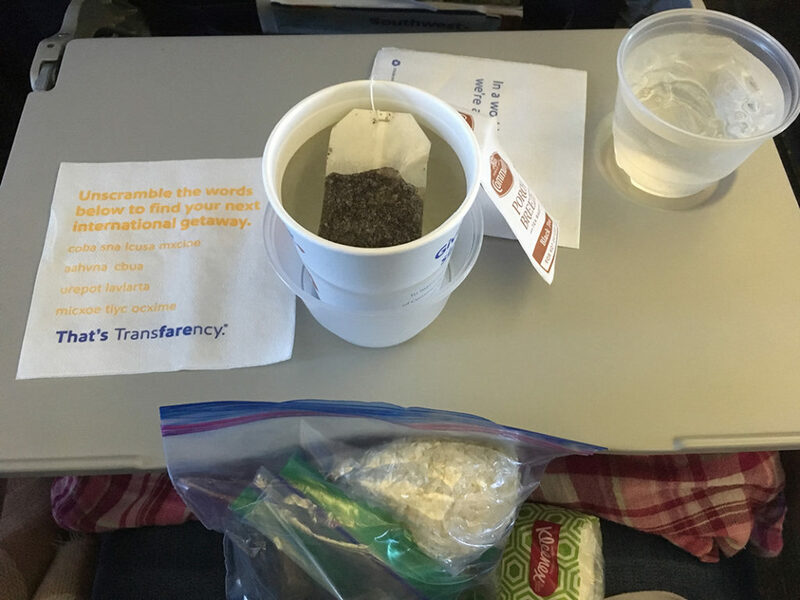 I had plenty of snacks to constitute a breakfast and kept hydrated with free water and tea. 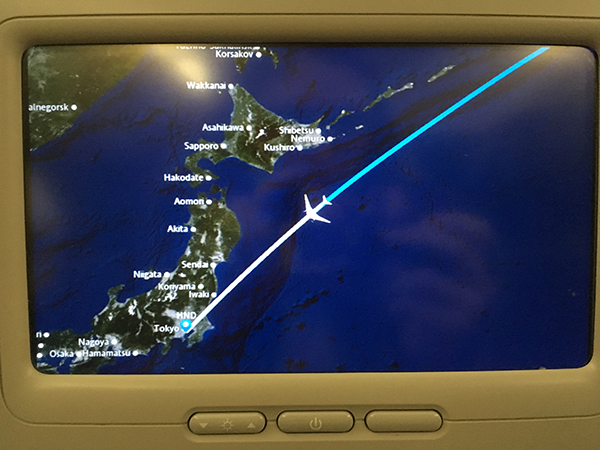 The first leg of my solo journey to Japan went well. 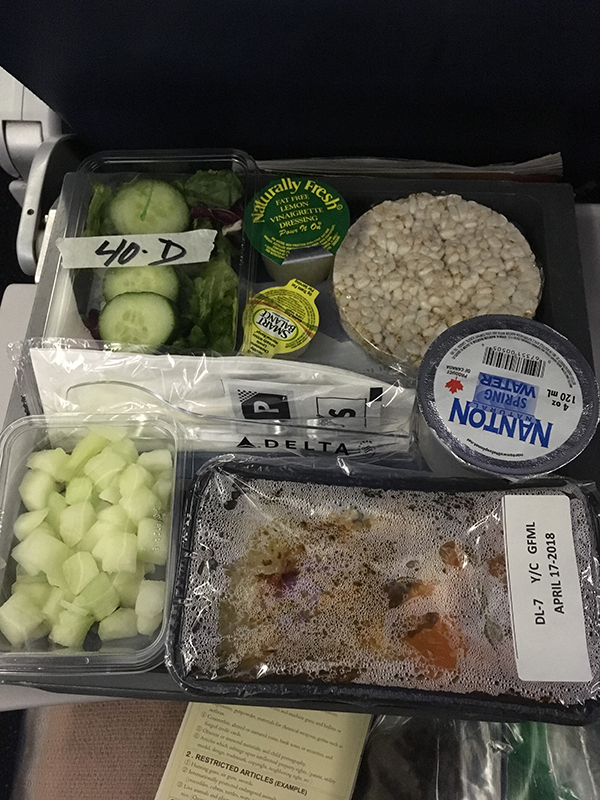 The Southwest Airlines flight was hardly crowded and my seatmate and I had a seat between us to put our stuff when we weren’t using it. And for the first time in my life, I had no problems with my ears popping painfully. Hallelujah. My only discomfort was shortness of breath, which resolved as the day progressed. The only time I regret not getting a window seat is when I want to take a photo of what’s outside!! The Los Angeles airport was another story. I couldn’t find the exit to the Southwest terminal and half the people I talked to didn’t seem to understand me or spoke Spanish like I could understand them (I couldn’t). Finally, I made my way to an information desk and a kind lady told me where to go. She even got me a cart because she could tell I was struggling with my heavy bags. 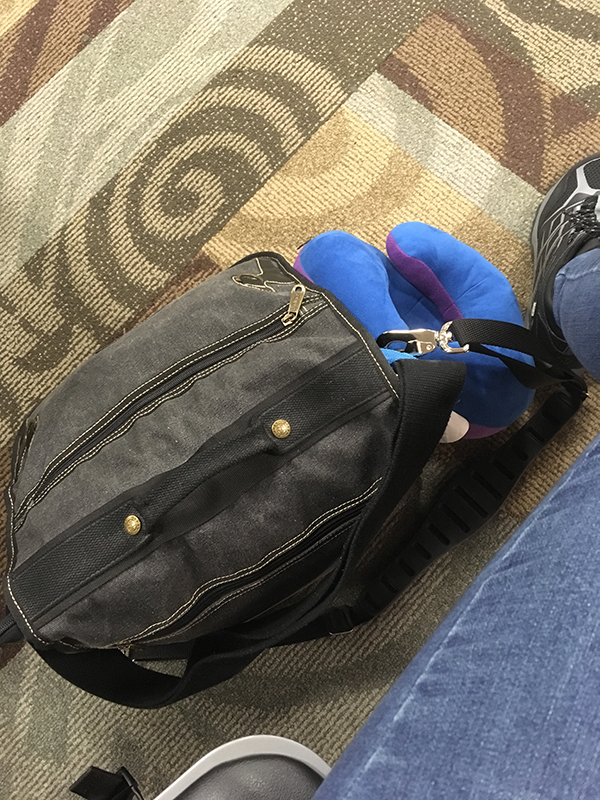 Once I was in the appropriate terminal, getting to the boarding gate was a feat in and of itself. I had to go through questionable-looking corridors and such to get to an elevator that took me to a little room that was airside, where a single line was queuing to get bussed over to the boarding area. 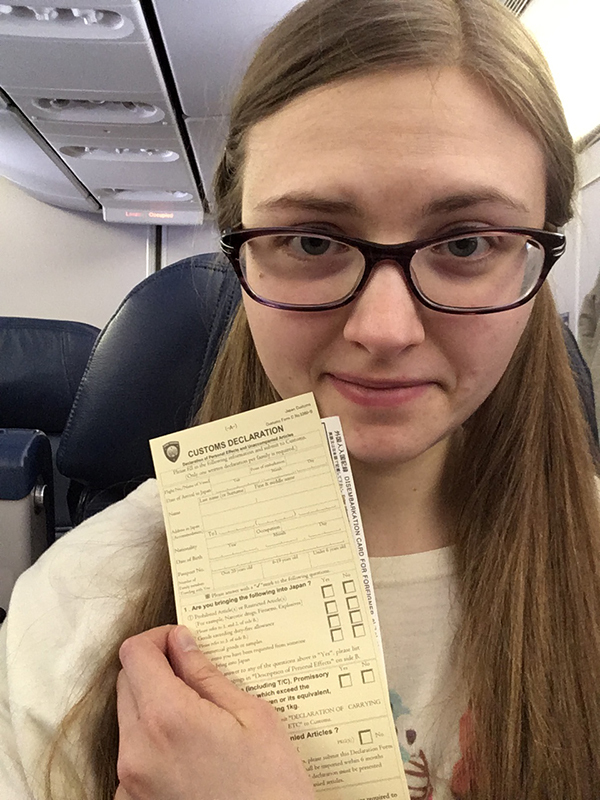 I almost missed hearing them call for my plane, and then got berated for not standing in the right line (a line which had a sign but no people standing in it). A whole group of us who were standing in the wrong line moved and got on the bus. Once we actually made it back inside the building, and arrived at our gate, my boarding group was called and I just walked right in. After that, I just settled into my seat and prepared myself for the long ride ahead. Not pictured: blanket, pillow, and slippers (I used the blanket and pillow to support my lower back instead). 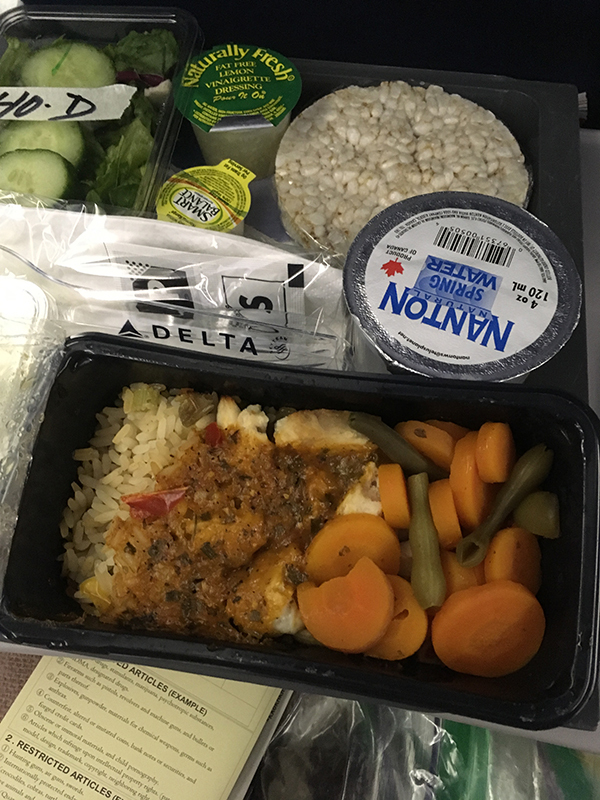 I really appreciate Delta’s international service. They have headphones, earplugs, and an eye mask, as well as free Wi-Fi for messaging! I was able to use it for other text-based things like reading fanfiction (though it was very slow to load at times) and looking up customs information. Some sites would not load, especially government sites, and of course entertainment options are a no-go unless you buy their entertainment package. While I had Wi-Fi, I took screenshots of all my important information just in case I needed it later. I did this for my mobile boarding passes too. 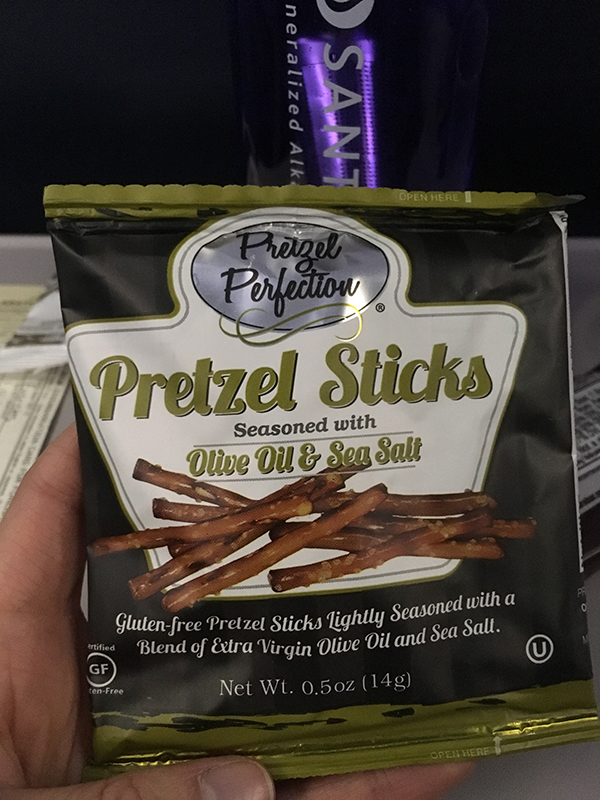 Snacks provided for gluten-free passengers included these delicious pretzel sticks and roasted, salted almonds. 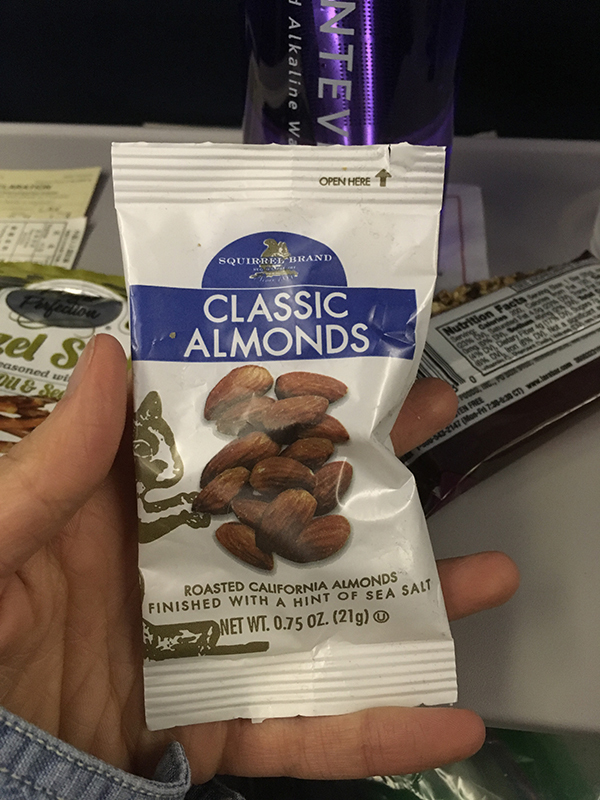 I marked peanut allergy in my reservation because of a sensitivity, so that may be why I got almonds too. The meal was quite good! I just ate around the chicken and saved the rice cake for later. 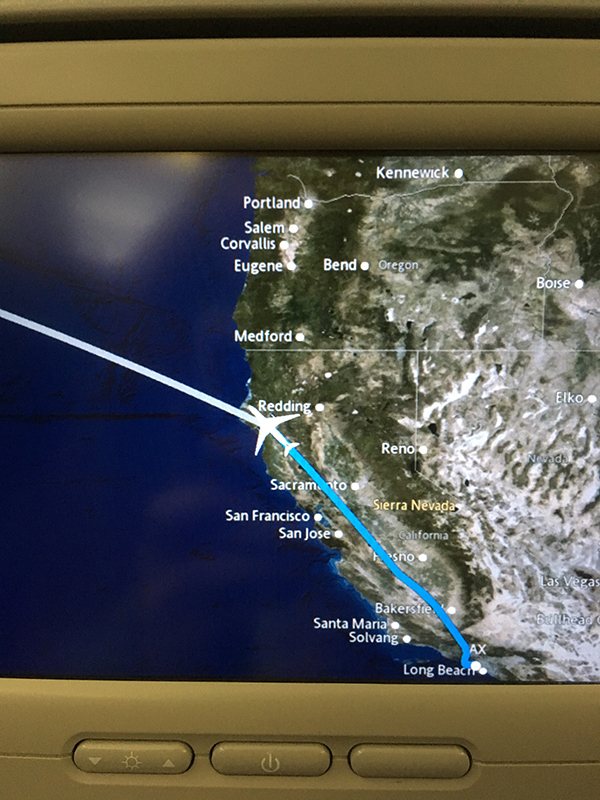 The flight seemed to take forever. I took a few naps, played some games, read some fanfiction, and wrote. 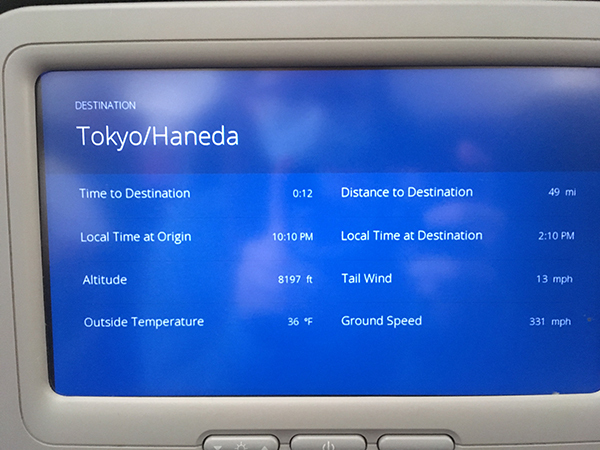 Again, the free in-flight Wi-fi (for messaging) was such a blessing! 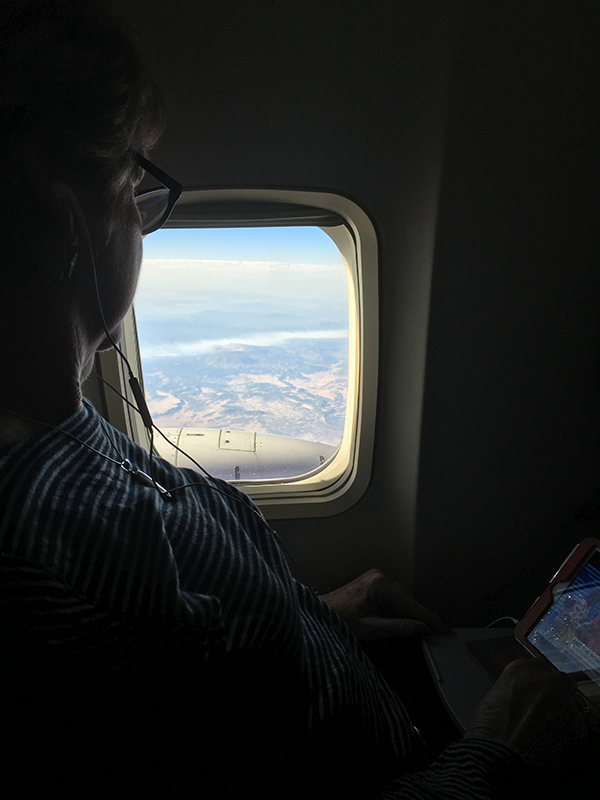 I was so thankful to be able to keep in contact with my parents and friends even thousands of feet in the air. Breakfast was a little on the disappointing side. 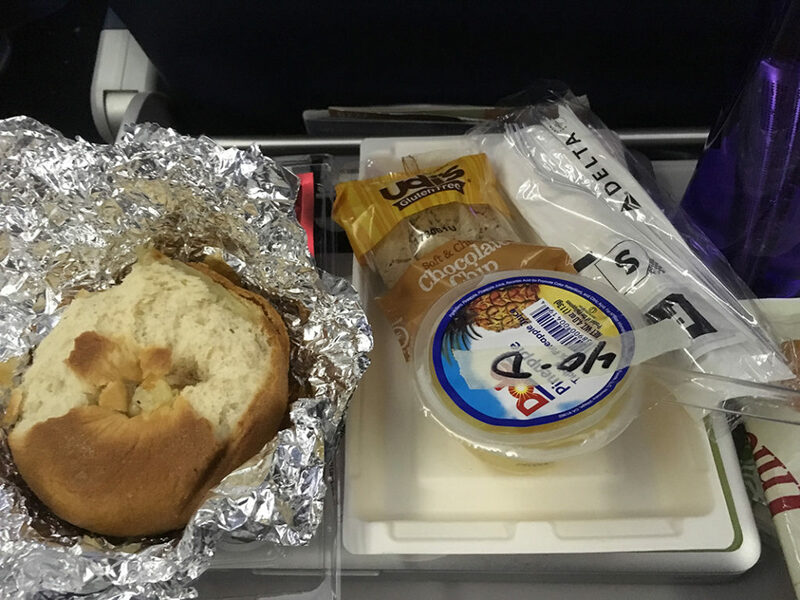 The gluten-free bagel had some sort of cheese that resembled glue sandwiched between the pieces, so I just pulled off some of the bread itself to eat (I don’t eat cheese). But hey, I got a cookie! This was when I started getting excited. After we landed, I powered through the walkways to get to the information desk and asked about how to get to my hotel. My excitement and nervousness at navigating the train system short-circuited some part of my rationale, however, which led to me completely forgetting to exchange my money. It never even occurred to me because I had bought a pre-loaded Suica card when I ordered my Japan Rail Pass. Ignorance is bliss…? More like a heart-attack. …And then I realized I had no concept of where the train was even going. 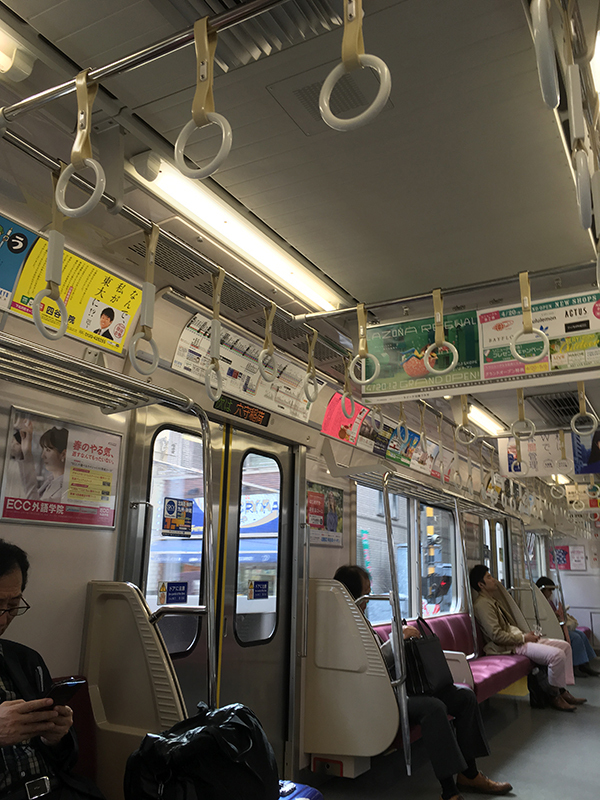 Nervously, I inquired of the girl sitting next to me–my first conversation in Japanese, heart pounding it began to sink in how alone I was–and she informed me that my stop was the one just after. It turned out that she was right, and I made it safely to the station in Kawasaki. 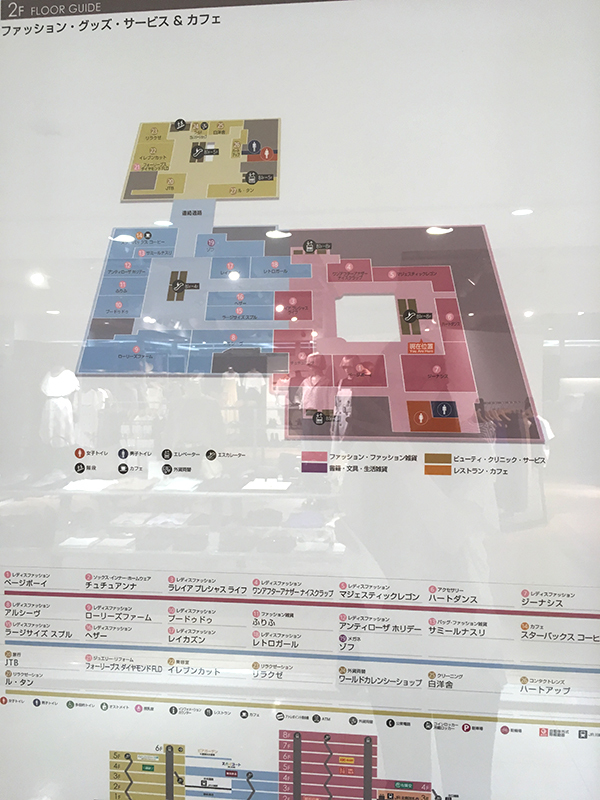 My next hurdle was finding the hotel, and the station staff pointed the way using both fingers and map. It was at this moment that I realized how alone I was and that I was going to have to figure everything out by myself. 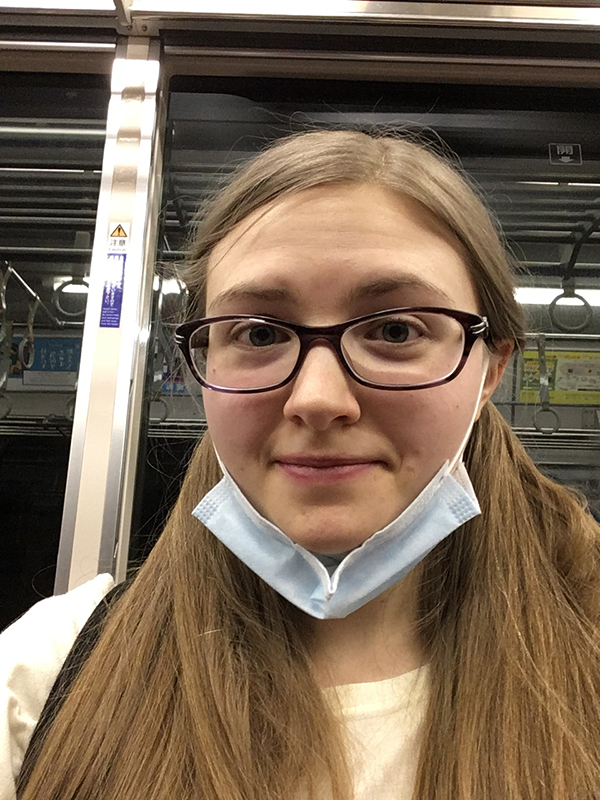 Not wanting to look nervous, I strode out of the station, making my way towards Sun Royal Hotel Kawasaki while taking in the sights of Japan. The hotel is located in a historical area of Tokyo’s outskirts, where cobblestones made up much of the sidewalks and dated buildings fail to tower as tall as one might expect. As I walked, I mentally noted how quiet things were, and how normal. By that, I mean I sensed the daily drudgery taking place all around me–students and workers alike somehow marching with purpose, while also dragging their feet. I began to question if I had taken a wrong turn. A worker at the Daily Yamazaki convenience store assured me my hotel was straight ahead; I just had to keep walking. So I did. I almost missed it because the sign is actually past the entrance. Nonetheless, I was relieved to arrive. Then it hit me like a sack of bricks. I had no yen to speak of. So began a new quest, this time to find the currency exchange center the front desk told me about. At long last, I found it, and armed with the proper notes, charged back, only to run into trouble. I’ll let my vlog do the rest of the explaining. I broke down crying when I got back, after connecting to Wi-fi and texting my mom that I was safely at the hotel. “What was I thinking? How could I have thought I could come here alone and be fine?” It is one thing to plan a trip; another to walk out the plans! I turned on the bathroom fan, the TV, and my computer just to have background noise, and prayed hard. Over the next several hours, I spent time reaching out to people to let them know I was safe and needed prayer. Temptation was strong to just resign myself to staying in the hotel for the entire four days, but I knew that I couldn’t. I could either cave in, or I could grow. Praise God that I decided to grow. 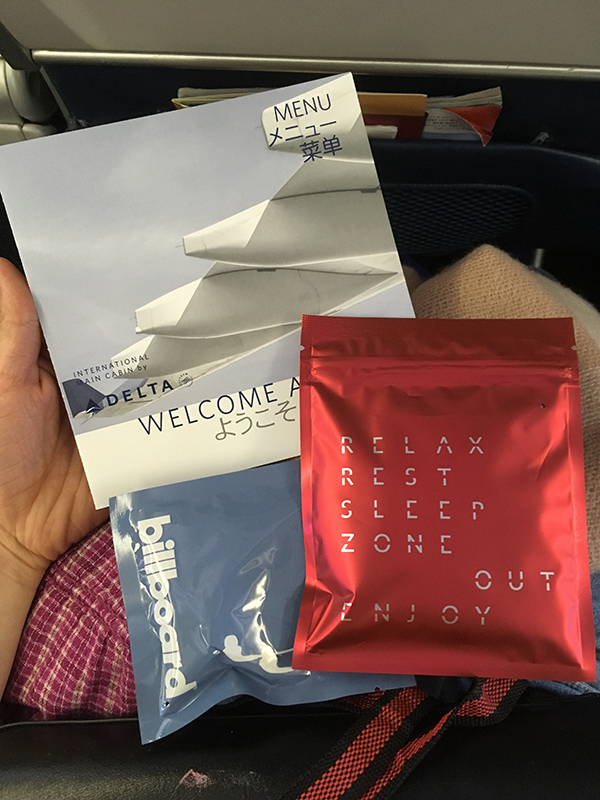 Posted in Blog, Japan, TravelTagged airline, delta, fear, flight, getting lost, haneda airport, japan trip 2018, kawasaki, lax, los angeles, southwest, southwest airlines, tokyo, vlogLeave a Comment on Japan Trip 2018 Day 1: What Was I Thinking! ?